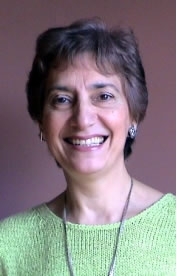 Her private practice includes emotional, physical, energetic, and spiritual issues. She works with children and adults in English and in Spanish. She has a strong history helping people find solutions to untreatable problems. Currently, Maria Isabel has joined the elite group of TFT therapists who quite regularly achieve dramatic and unprecedented improvements in Heart Rate Variability (HRV) with Voice Technology.